Hulland Ward WwTW is owned and operated by Severn Trent Water, serving a population of approximately 900 people. The system was originally constructed in the 1960's comprising a conventional biological filtration system in the form of a primary settlement tank, trickling filter and humus tanks. The ageing infrastructure became unsustainable, demanding increasing energy consumption and OPEX to maintain compliance with regulatory discharge limits. 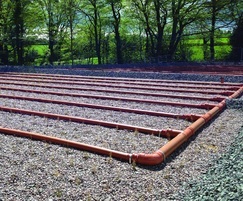 Severn Trent Water required a new low cost, low energy and low carbon solution to replace the de-commissioned works, that could operate in a rural setting treating flows of 492m3 d-1 and meet final effluent discharge concentrations of 30mg L-1 BOD5, 50mg L-1 suspended solids and 15mg L-1 ammonia. 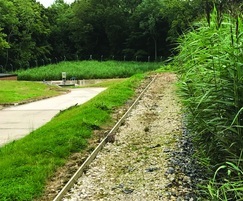 The solution involved the latest constructed wetland technology for municipal sewage treatment applications. The 1st stage Phragmifiltre® was developed and proven in France to provide full treatment of raw sewage without the need for pre-treatment. 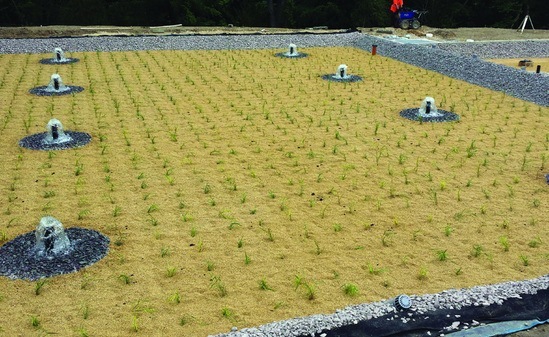 The 2nd stage vertical flow wetland was retrofitted in 2017 with forced bed aeration (FBA)™ developed by ARM’s US partners, Naturally Wallace Consulting, to enhance removal rates and final effluent concentrations to ensure full compliance with regulatory discharge consent limits. The vertical flow wetlands are batch fed simultaneously through a siphon chamber which negates the need for pump stations and power supplies. ARM Ltd was contracted by Severn Trent Water through their framework contractor MWH Treatment to design and construct the novel system. 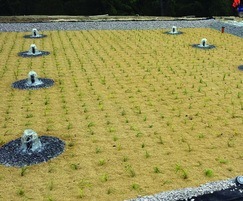 Commissioned in September 2015, the system was the first full-scale application of constructed wetland technology by a UK water company for full treatment of municipal sewage and represents a change in thinking regarding low TOTEX natural waste water treatment solutions. Low maintenance and energy requirements significantly reduce TOTEX compared to alternative technologies. Eliminates the requirement for regular desludging and associated tankering costs due to sludge volumes composting on the Phragmifiltre® beds. Enhanced treatment and final effluent concentrations fully complying with regulatory limits. A green solution blending into the rural landscape and providing diversification of habitat to enhance local biodiversity.